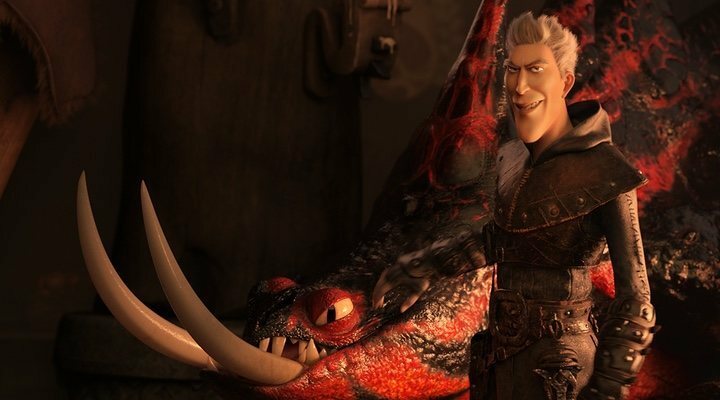 The third and final film in the 'How to Train Your Dragon' trilogy was released in cinemas in the UK this weekend and is already enchanting audiences across the country; but for those of you who haven't yet had the chance to see the new Dreamworks animation, Simon Otto, one of the creators in charge of character design, was recently interviewed by Entertainment Weekly about the design process for the creation of the five new dragons who feature in the film. He described the way in which the creatures are created, saying: "every dragon has a purpose in the story that's written into the script and from there, we typically look at things we see and can recognise in nature. And then, with every dragon, I call it the dragon salad mixing bowl: you just throw in all these ingredients and at the end you pour a sauce over and you shake it really well, and hopefully you get the dragon that you want." 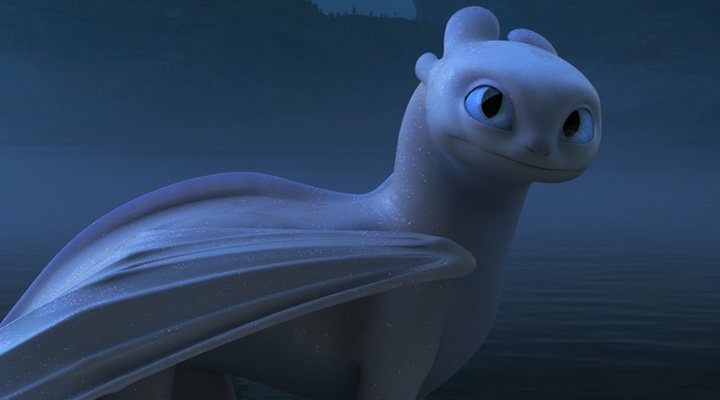 This is the most important dragon to have been introduced in the film; she is a female version of Toothless and becomes the dragon's new love interest. The female dragon has the incredible ability to heat her own scales to the point at which she becomes invisible and was presented in the script as feral: "she was so uninterested in being near humans, partly because she was afraid, and in that sense she really represented pureness and nature." And thus the concept of a pure white colour was born. This great beast is the one who begins all the trouble in 'How to Train your Dragon: The Hidden World'. His design in a bizarre mixture of a giant prehistoric deer and a perch fish: "We wanted to present this prehistoric, giant dragon that may not be as big as the alphas in [the first two films], but is big enough that Hiccup is not really seeing that, even though he's saving this dragon from captivity, he's bringing home a huge problem that they really don't have space for". The Deathgrippers are the pet dragons of the villain in the film, Grimmel. These beasts hunt in packs: "We looked at scorpions, black widows, certain types of really crazy hunting dogs. These dragons had to be really fierce and dangerous from the moment they first appear." 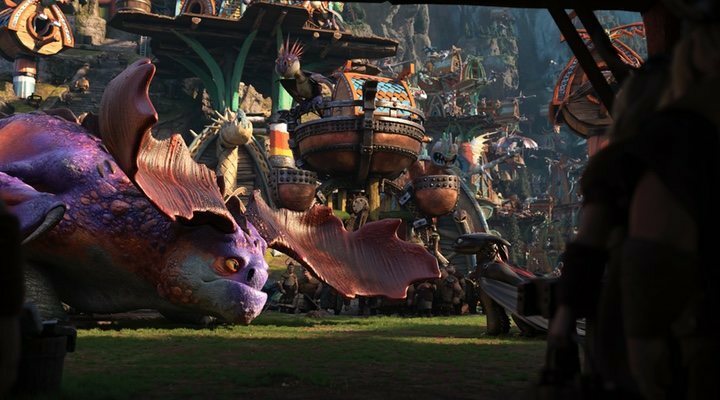 Fishmeat is the name of a baby Gronckle dragon who gets adopted by Fishlegs: "In the script, there was this idea that Fishlegs becomes a surrogate parent to one of the Gronckles and he would take this baby everywhere since he's such a dragon nerd". 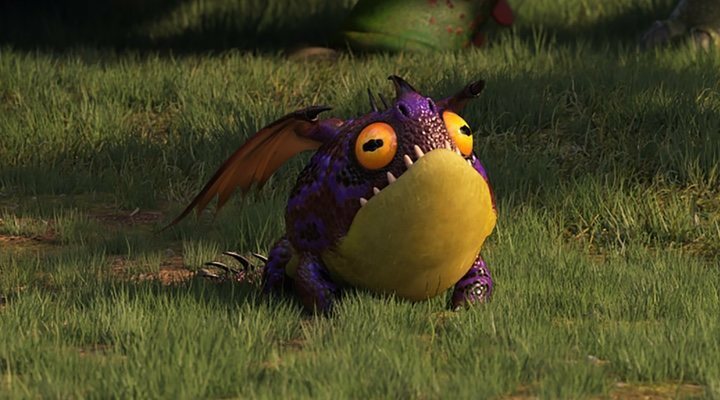 Apparently the film's director, Dean DeBlois, owns three French bulldogs and wanted to have a dragon based on them, thus this adorably ugly dragon was created: "It's a mix between a Frenchie bulldog and a rainforest frog... and also a beachball", Otto laughed. 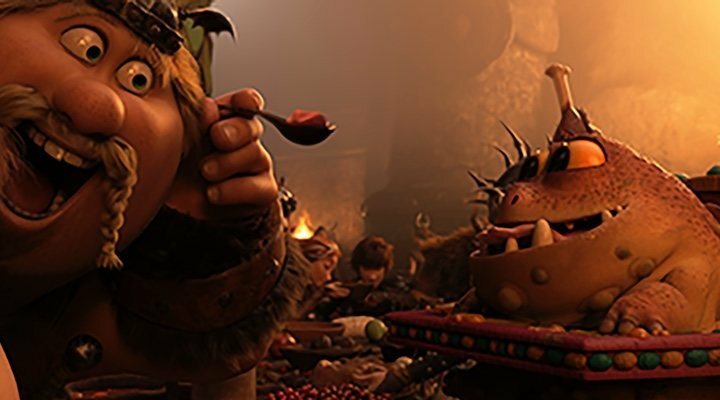 In this last instalment in the saga, Hiccup, who has become the Isle of Berk after the death of his father, undertakes a journey in search of the hidden world in which the dragons are born and hide. 'How to Train Your Dragon: The Hidden World' is in cinemas now.